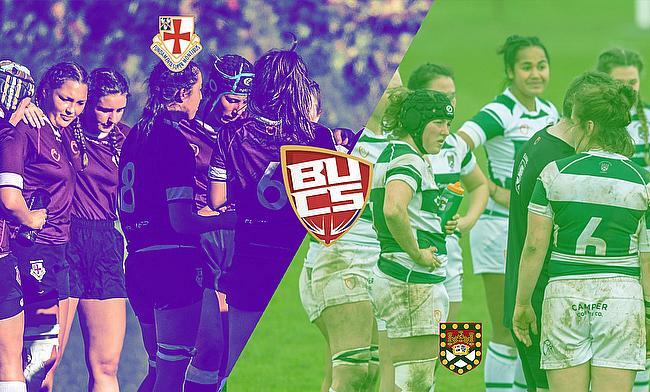 The top two Women’s university teams in the country are set to do battle for the BUCS Championship at Twickenham as current holders the University of Exeter take on Durham University. Both sides boasted a 100 per cent record after their respective domestic campaigns and they carried their form into the knockouts to book a place at England HQ. We caught up with Exeter and Durham ahead of Wednesday’s final. There is no doubt that Durham will pose a genuine threat to the University of Exeter’s crown on Wednesday afternoon, but head coach Jo Yapp told TRU last week that her side ‘really deserve’ to run out at Twickenham again. It is hard to disagree with her because the current champions arrive back at England HQ having not lost in 24 matches. Since their dramatic extra-time win over Hartpury just over 12 months ago, Exeter have continued to shine. Rather than letting their holders tag be a distraction or influence their thinking, the Green and Whites have harnessed their success of 2018. Exeter won all 10 of their domestic fixtures and dropped just a single point in the process before brushing Loughborough aside in the last eight. They then faced Cardiff Met in the semi-finals and a sparkling first half display, including a standout performance from Kim Grundy, helped Exeter to a second successive Twickenham final. “The commitment the girls have shown this year to their training alongside some really tough degrees and studies has been so pleasing and they deserve this opportunity,” Yapp said. “They do it for each other. They are such a close group of friends and that makes a big difference. They have just bonded as a group and they have really built on that camaraderie. Exeter’s pursuit of another BUCS title has only been aided by the continuous development of their programme. With a mix of Tyrrells Premier 15s players and internationals including Caity Mattinson, Hollie Cunningham, Lagi Tuima and Poppy Leitch, as well as players who began playing the sport at university, the progress Exeter are making is superb. All of that talent, combined with the experience of last year’s final, will no doubt be an advantage for Exeter on Wednesday and Yapp agreed with that notion: “I think there is a huge amount from that experience because running out at Twickenham is always quite daunting. Yapp admitted Exeter will have six or seven players who will be stepping out at Twickenham for the first time on Wednesday and she was also keen to stress that as a coach, it is pleasing to see these girls run out alongside their internationals and hold their own. But, whilst their may be differing levels of experience in Exeter’s squad, they are all vying for the same goal – another BUCS Championship title. Durham University are entering the unknown. The North-East outfit have reached a Twickenham final for the first ever time, but despite lacking experience when it comes to the big occasion, they thoroughly deserve their place at England HQ. They romped to the Premier North title following 10 successive wins and Durham continued their scintillating form in the knockouts. A professional and solid display against the University of Bristol in the quarter-finals set-up an intriguing last four tie with 2018 finalists Hartpury and Durham delivered. Coreen Grant grabbed a brace whilst Lydia Crossman and Anabel Lee also got in on the act as the Palatinate stormed into the BUCS Championship final to the delight of both Women’s Rugby Programme Coordinator Roshini Turner and club captain Tilly Kidd. “It has been our best season ever,” Turner told TRU. “The girls have really come together and I think the difference this year is that we have got depth. There are no heroes on the park. I think we have just worked together really well. It can be argued that 2019 is becoming a breakthrough year for Women’s rugby in England. Following the announcement of full-time contracts back in January, the Red Roses surged to a Grand Slam in the recent Six Nations and the development of the game has certainly filtered into university rugby. The introduction of the BUCS Women’s National League is an example of this and Durham are one of the institutions which arety building in the right direction as they have been able to establish three university teams as well as 13 college sides. Added to this, they have their growing link with Tyrrells Premier 15s outfit Darlington Mowden Park Sharks and Durham are developing a sustainable pathway. After three consecutive third placed finishes since they last won the domestic title in 2014-15, Durham’s very positive year could conclude with Twickenham glory. They have won their last 12 matches and the last team to beat them were actually Exeter in the 2018 quarter-final. With Exeter having experienced the big stage before and Durham arriving has potential ‘underdogs’, Kidd feels her side can play with freedom as they aim to create history. “We are coming into this game having never been to a Twickenham final,” she added. “It is huge for the club, but it does mean we have nothing to lose, really. We are going to go out and play our game as much as we can. “I think to win it would mean so much to the girls. We have been training so hard for this and I think the past two years, we have been knocked out by whoever went on to win it so we are really up for the fight. Our club has been going for 36 years and this has always been the end goal.